These past few weeks have gone by too fast for all of us and just like that it’s time to head back to school. No more sleeping in and spending the day in bed; instead, it’s time for 8 a.m. classes and trying to fulfill New Year’s Resolutions. Is one of yours to do better in school? If so, keep reading to find some of the best places to study on campus. If you’re new to studying and are not sure where to start, then head to the library. 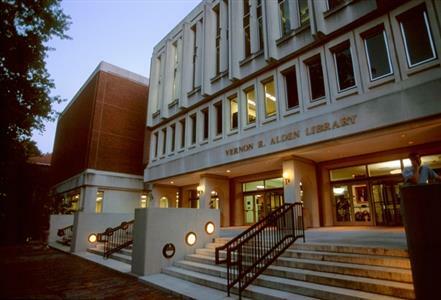 Alden offers different study environments all within one building. The floors are based on sound level, so grab some friends and head to a group work level and crush your goal together or if you get more marked off your to-do list by being alone, head to a silent level. If being out in the open is not the best environment for you, Alden also offers study rooms. You can book them online for the best time that suits you. If the library is too traditional for you, you’re more of a homebody, or you prefer to be in the comfort of your home at the end of the day, then study in your room. Are you still living in the dorms? If you are, then you most likely have a desk which is a great place to be productive. Some people dislike studying at home because they feel like they are unproductive and get distracted. To avoid this, put your phone on the opposite side of the room and sit at your desk rather than your bed. If you live in an apartment, leave your phone in a different room and sit at your desk or a table. It's okay to study in your room but don't get too comfortable or you might find yourself bingeing your favorite television show rather than checking off your to-do list. Does the never-ending silence drive you crazy? If so, maybe you need a more public place to study. 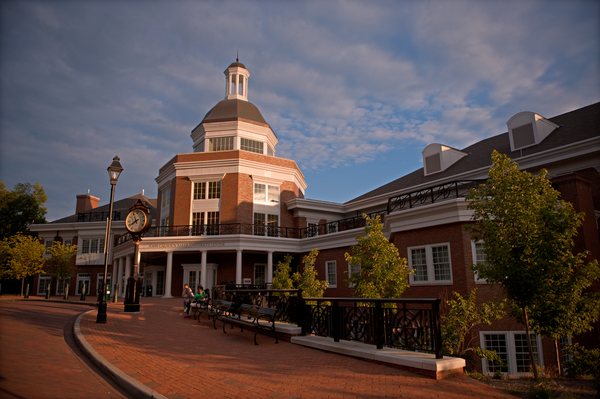 Baker Center is at the center of campus and is highly trafficked by students, there is constant noise to keep you from going crazy while studying. There are plenty of places to sit and study. For coffee lovers, Front Room is upstairs with tables for groups, couples, or even single sitting spaces that look out onto campus. If coffee is not your thing, there are couches and chairs on each floor. You can be along the escalators or tucked away outside of the ballroom. Most of the buildings on campus have a lobby area or seats outside of classrooms for students. Take advantage of these spaces and study between your classes or after class instead of going home and getting distracted from your homework. These areas are another place that will offer some surrounding noise, but there may be some downtime while classes are going on. These could be great areas to meet up with groups or to take small breaks as you see your friends walking by. These areas also offer a familiar atmosphere as most of your classes are probably housed in this building. Whether you prefer Starbucks or local coffee, head to these spots to get your favorite drink to help you get through the pages of reading you have ahead of you. Each of the coffee shops around campus offers different atmospheres so try all of them once and then decide which one best suits you. If you prefer tables and chairs or loveseats, Athens, OH has a perfect coffee shop for you. Take along some friends and enjoy your drink and talk about your day before buckling down and getting to work. Everyone is different so we must learn what works best for us. Ask your friends where they study and try it out for yourself. Take the first week or two of this semester to find what atmosphere makes you most productive and stick to it. Put yourself in the right place and mindset you help to achieve your goals this semester! Sarah Williams is a second year student majoring in Communication Studies at the Scripps College of Communications and minoring in Marketing. On campus, Sarah is a member of Ohio U Army ROTC. In her free time, she watches Netflix, enjoys going home to WV to spend time with friends and family, and has spontaneous movie nights with her roommates.